And we're back! The epilogue begins here! 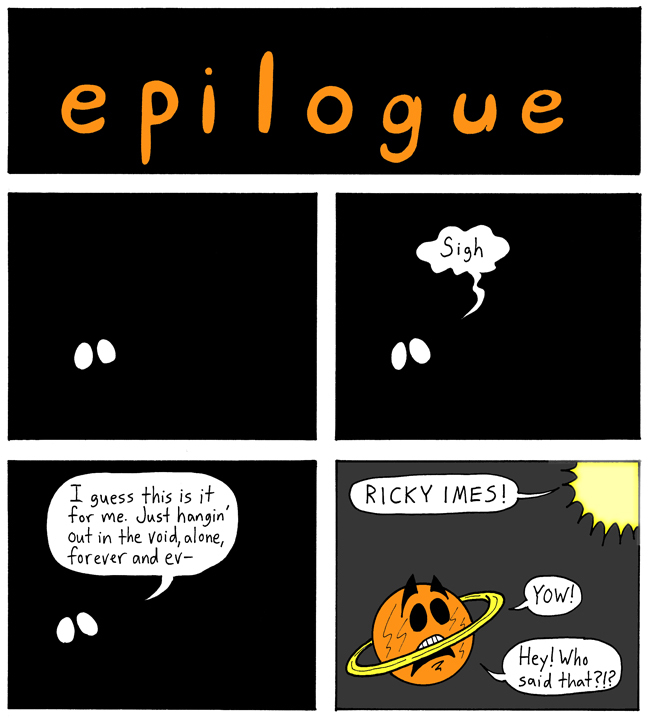 And, what do you, it begins with Ricky Imes. Ricky first appeared here, as a junkie living on the streets of Happy City. He had an apotheosis and became a cosmic being here. He showed up later as a "cosmic wanderer," and eventually got eaten by Udanax. He's still stuck in the blasphemous bowels of Udanax . . . but wait! Does this sudden, expected light foretell his salvation?